Spring and summer are the perfect times to fly a kite. But when your kite is aloft and sailing in blue skies, it can be easy to forget kite safety tips. Flying kites near power lines and electrical facilities is dangerous and can potentially disrupt electrical service to customers. For those reasons, it’s important to remember a few key points before you unspool that kite string. If the wind pushes your kite near a power line or electrical facility, let go of it. Your safety is never worth chasing a kite into a dangerous environment. Keep your kite in an open area far away from these types of facilities. 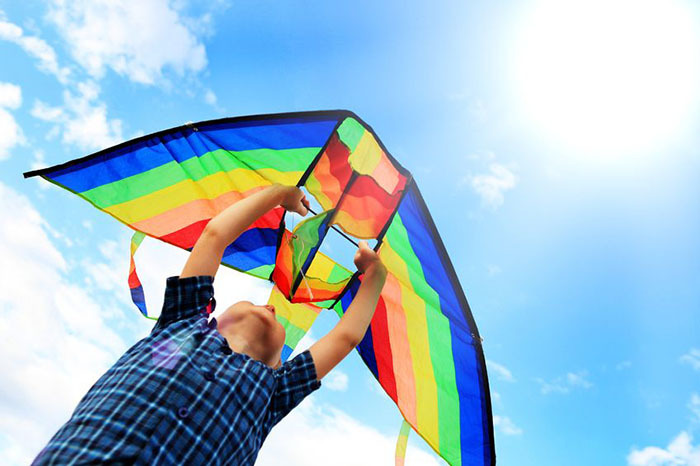 Avoid flying kites that contain parts made out of metal or wires. Don’t allow children to fly kites without adult supervision. A stiff gust of wind can easily cause you to lose control of the kite. If you do get your kite tangled in power lines, NEVER attempt to remove it. Contact OPPD at 1-800-554-OPPD for assistance. Following these quick safety tips will ensure a fun – and safe – kite-flying experience.